Miami: Some obese children as young as eight show significant signs of heart disease, according to research presented Tuesday at a major US cardiology conference. Researchers compared 20 obese children and teenagers to 20 normal weight peers, and found that 40 percent of the obese children were considered at high-risk for heart disease because of thickened heart muscle which can interfere with the muscle’s pumping ability. Overall, obesity was linked to 27 percent more muscle mass in the left ventricle of their hearts and 12 percent thicker heart muscles — both signs of heart disease, according to the findings presented at the American Heart Association’s Scientific Sessions in Orlando, Florida. 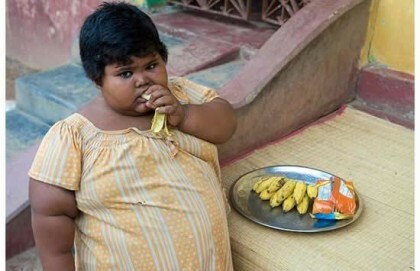 Some of the obese children also had asthma, high blood pressure and depression. The children studied did not report physical symptoms of heart trouble, but the damage to their hearts was found during a magnetic resonance imaging (MRI) scan. And researchers warn that heart problems in youth may lead to even more severe disease in adulthood, and a higher likelihood of dying prematurely. “Parents should be highly motivated to help their children maintain a healthy weight,” said lead author Linyuan Jing, a researcher at Geisinger Health System in Danville, Pennsylvania. Obesity was measured in the children using the US Centers for Disease Control and Prevention standard growth charts, which use body mass index, a calculation derived from a child’s height and weight. Those above the 95th percentile were considered obese. Children with diabetes, or who were too large to fit in the MRI machine, were excluded from the study. “As a result, this means the actual burden of heart disease in obese children may have been under-estimated in our study because the largest kids who may have been the most severely affected could not be enrolled,” Jing said. Nationwide, about one in three children aged 2-19 are considered either overweight or obese in the United States. Finding that children as young as eight may show signs of heart disease was “alarming to us,” Jing said.